What Kind of Science Classes Do Sports Doctors Need to Take? Mathematics teachers are professionals who have a bachelor's degree, completed a certificate or licensing program in teaching, and passed the teacher certification exam. Prospective math teachers are not required to major in mathematics, but they do have to take certain courses in mathematics while they are in college so they can pass either the single or multiple subject exam in mathematics. As a result, many prospective mathematics teachers choose to complete a major in this field while they are undergraduates. Anyone who's interested in teaching mathematics in middle and/or high school has to have certain knowledge of mathematics. Students who are interested in becoming high school math teachers typically complete a bachelor's degree in mathematics. Most universities offer students a choice between a Bachelor of Arts and a Bachelor of Science. In general, both degree programs require students to take 60 units of general education requirements, 30 units of required courses in mathematics and a total of 120 units of undergraduate courses. Bachelor of Science programs typically require students to take 30 units of electives in mathematics, while Bachelor of Arts programs allow students to take 30 units of electives in any field. Those who are interested in teaching typically use the 30 units of electives to pursue courses toward certification, or to take general courses in teaching and education. All prospective mathematics teachers have to take courses in college algebra and geometry to prepare for the certification and licensing exam in mathematics. 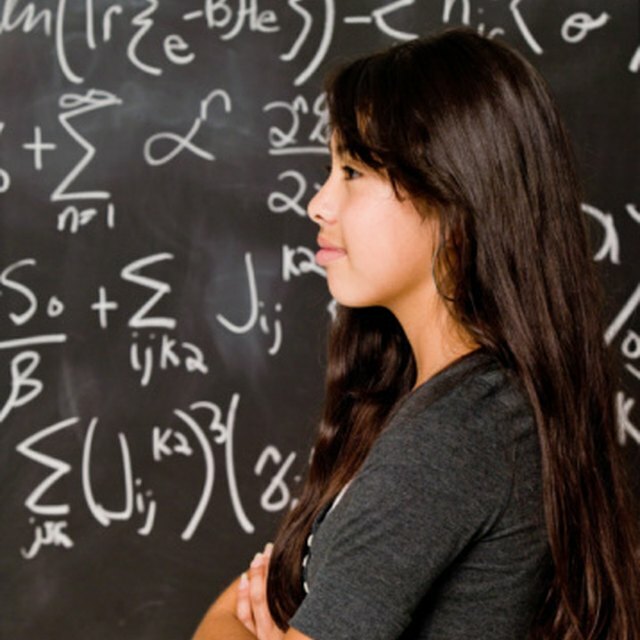 Algebra and geometry are two of the most important areas of study for elementary, middle school and high school teachers because the majority of K-12 coursework in mathematics deals with topics that are introduced and covered in pre-algebra, algebra 1, algebra 2, and middle school and high school geometry courses. College algebra covers topics such as real numbers, integers, algebraic expressions, equations, inequalities, graphs, functions and polynomials. College geometry covers topics such as measurement, synthetic, analytic and transformational geometry, and modeling and proofs of theorems in Euclidean and non-Euclidean geometries. Two other important courses for prospective math teachers are pre-calculus and probability and statistics. College algebra and college geometry are prerequisites for pre-calculus, which is in turn a prerequisite for calculus 1. Pre-calculus, also known as trigonometry, teaches prospective math teachers about graphing equations and inequalities, analyzing systems of equations and inequalities, and topics in complex numbers. Probability and statistics is a strand of mathematics that focuses on data analysis and representation. This course covers topics such as distributions, sampling methods, study designs and principles of probability. Most prospective mathematics teachers also take at least one semester of calculus, and those who major in mathematics take three semesters of calculus. Calculus is an advanced area of mathematics that teaches students about limits, derivatives, continuity, integration, solutions to differential equations, vectors, introduction to real analysis, infinite series and multivariable functional analysis. It is usually offered as a three-semester course -- calculus 1, 2 and 3 -- covering topics both in one, two and three dimensions. Kennesaw State University: Mathematics Education B.S. Prudchenko, Kate. "College Classes to Become a Math Teacher." 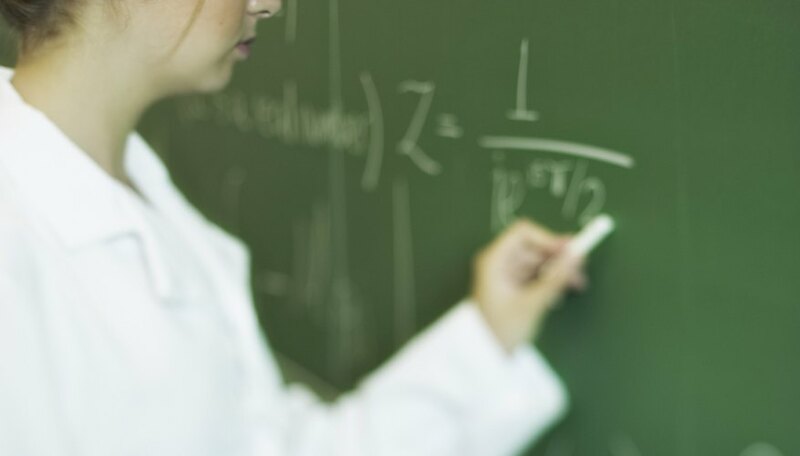 Sciencing, https://sciencing.com/college-classes-to-become-a-math-teacher-12753024.html. Accessed 18 April 2019.